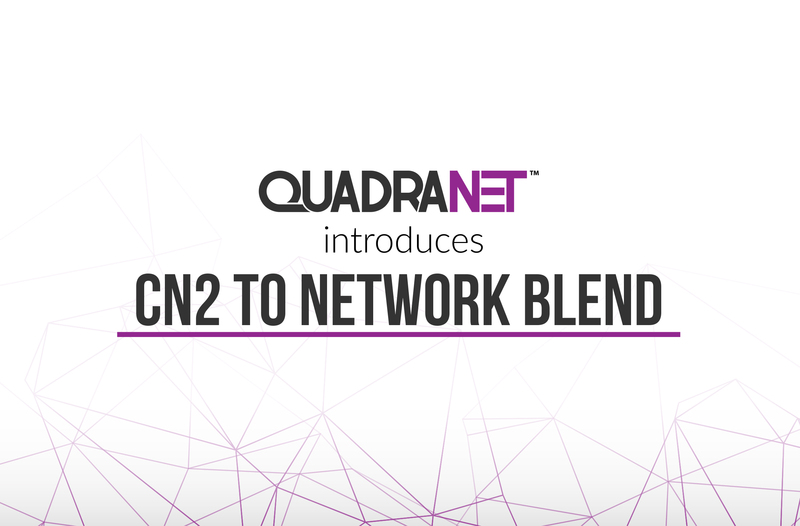 Effective immediately, QuadraNet, Inc., the leading provider of dedicated servers, colocation, managed hosting, DDoS mitigation, and data center solutions in Los Angeles, has finalized the addition of China Telecom “CN2” into its premium Los Angeles network mix. With this additional carrier, clients will benefit and receive significant network latency and throughput improvements for traffic that is being sent to, and received from, China. The inclusion of this telecom provider’s routes will not only improve the network traffic performance for QuadraNet’s own clients, but it will also make a meaningful impact for the global Internet community -- benefiting the millions of connections that are processed through QuadraNet’s Los Angeles network on a daily basis. Clients with traffic primarily in China will, for the first time, be able to reach Mainland China locations directly -- no longer will such traffic be subjected to less efficient routes. QuadraNet maintains private uplinks to both China Telecom and China Unicom. As a service provider that has a long-standing history of making significant and client-focused investments that provide optimized dedicated server, colocation, and cloud hosting services to territories in Asia, QuadraNet continues to reach this goal with the embracement of China Telecom CN2 into its Los Angeles self-healing network blend. For more information be sure to visit https://www.quadranet.com. QuadraNet Inc., since 2001, has been a leader in hosting and data center solutions as a telecommunications provider in Los Angeles and the surrounding areas. QuadraNet has grown to become one of the largest providers of dedicated servers, colocation, cloud hosting, and bandwidth services. In addition to Los Angeles, QuadraNet has expanded to offer services in Dallas, TX, Miami, FL, Atlanta, GA, Chicago, IL, and Secaucus, New Jersey. With a team of highly-skilled professionals that are passionate and excel at designing and implementing the perfect solution for clients and their businesses, QuadraNet has a chief focus on providing consistent and exceptional service and support. Facilities and services are staffed and monitored 24×7 to assist with everything from routine memory upgrades to advanced systems troubleshooting.